The DEWALT Laser Safety Hiker Boots have full grain leather uppers with a breathable, waterproof comfort insole for comfortable all day wear. The padded tongue and collar provide additional comfort. 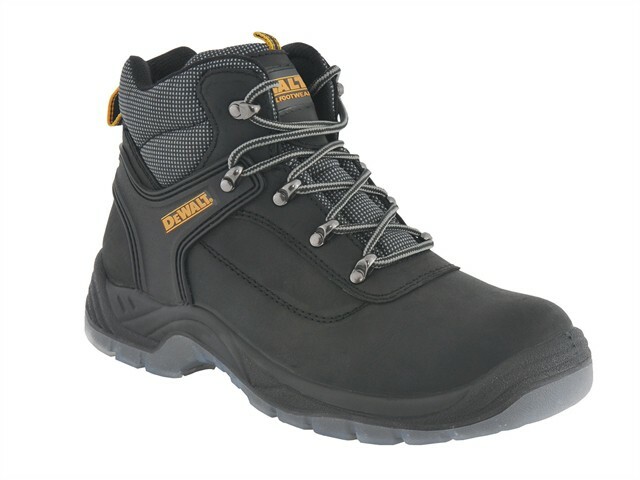 Has a 200 Joule steel toecap, with a steel midsole for underfoot protection. The TPU dual density outsole is anti-static.